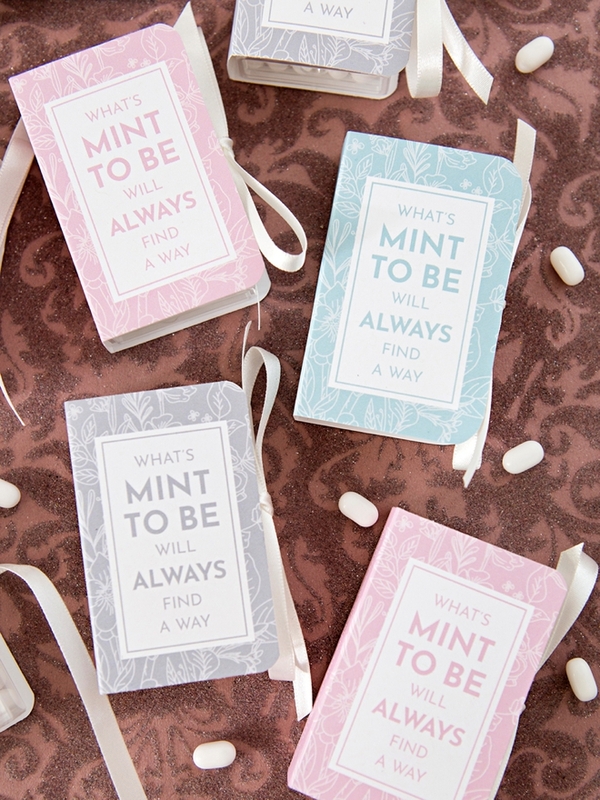 Today we’re embracing what’s mint to be! 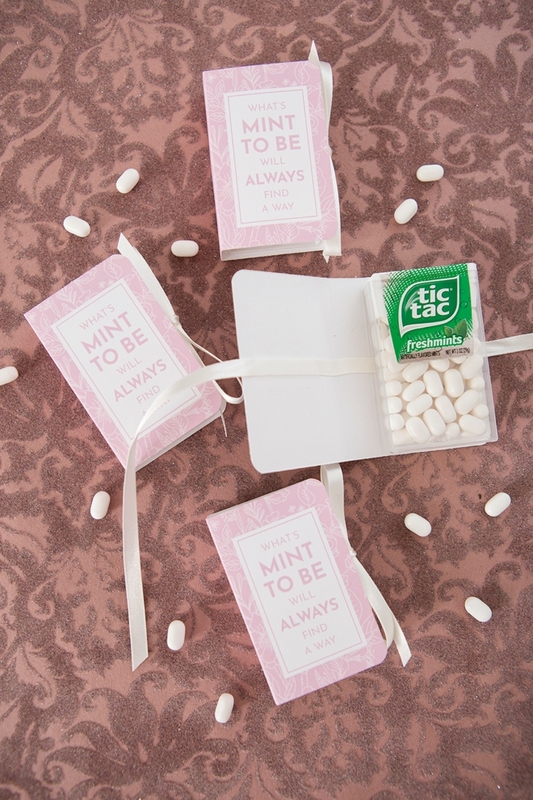 We’ve partnered with Canon to bring you free printable Tic Tac book covers that will make the most adorable wedding favors! 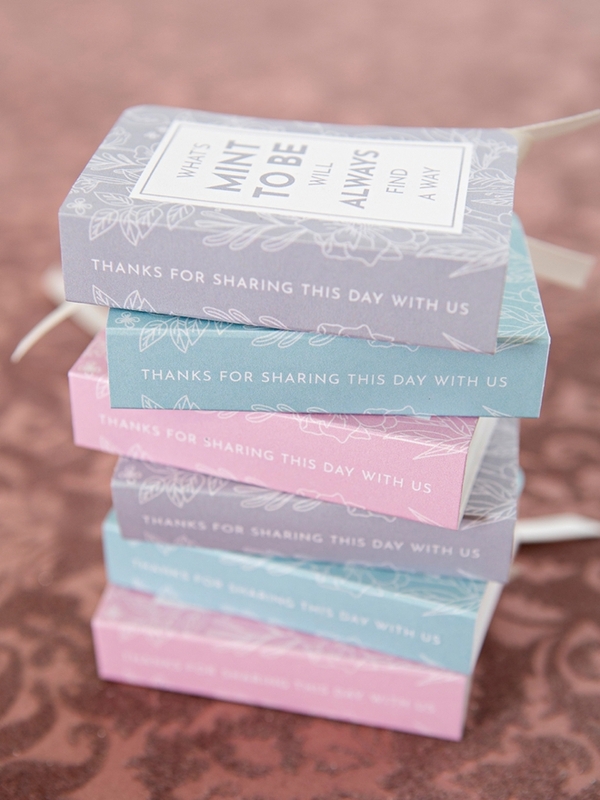 The gorgeous print quality of these “books” is courtesy of our brand new Canon PIXMA TS9521C All-in-One Printer that was designed for crafting. 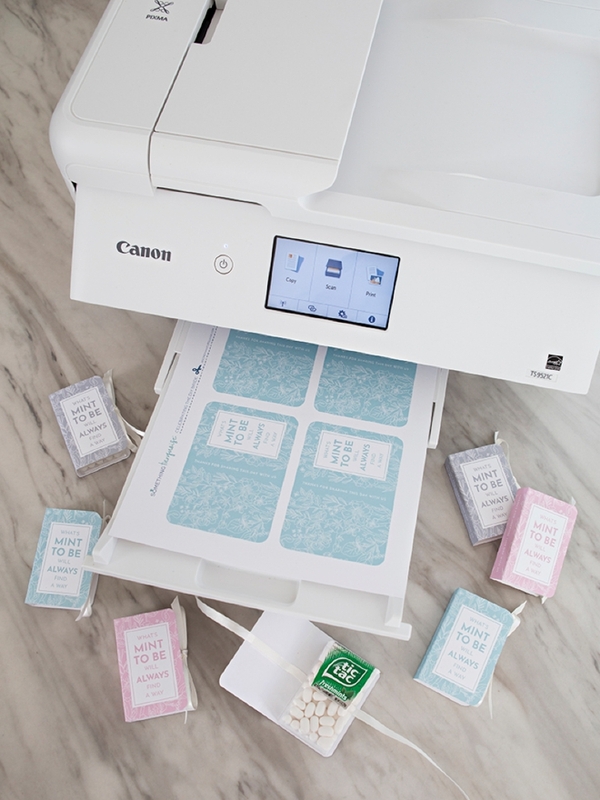 This pretty new white printer is earning its keep in our craft room and printing all our new projects! 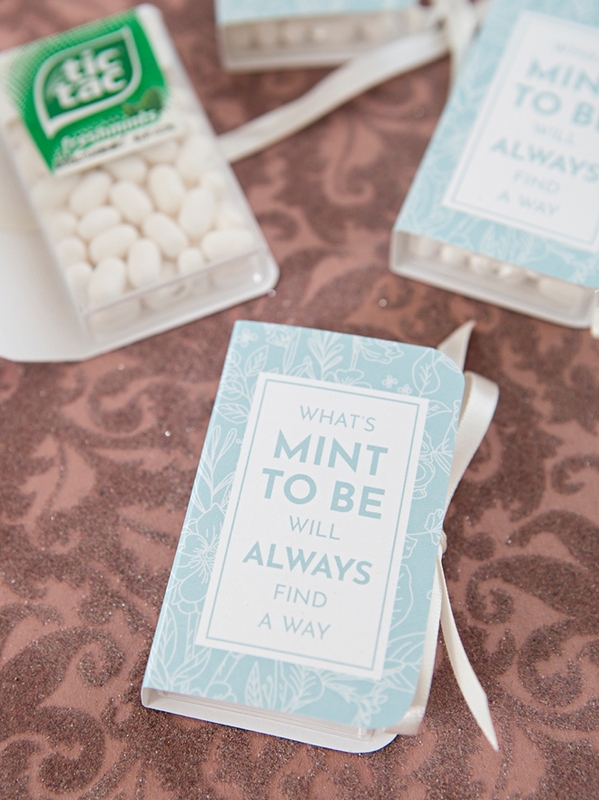 If you believe that “what’s meant to be will always find a way” then these favors are for you! 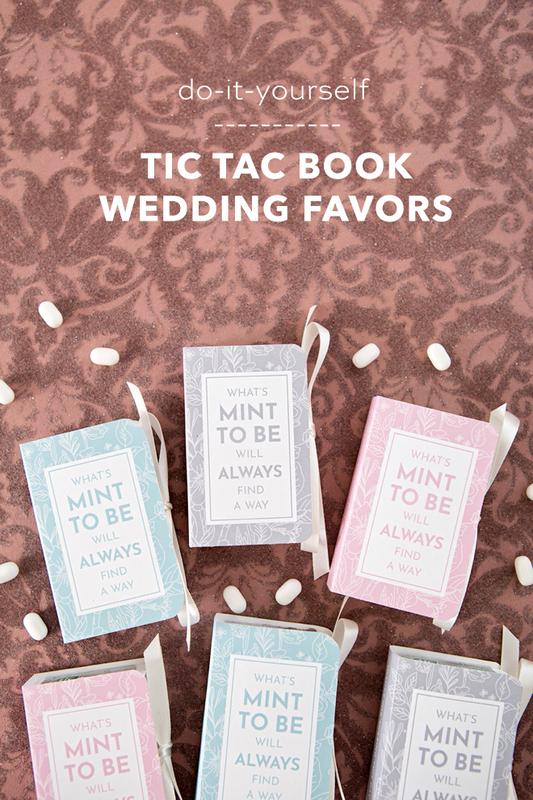 We’re sharing an aqua, pink, and gray version of these Tic Tac book printable designs in hopes that one of these colors will perfectly fit your event theme… be it your engagement party, bridal shower or wedding! 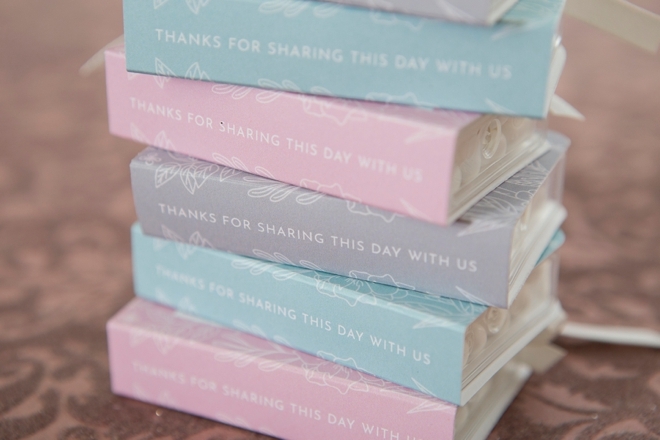 The spine of these little books reads “thanks for sharing this day with us”. 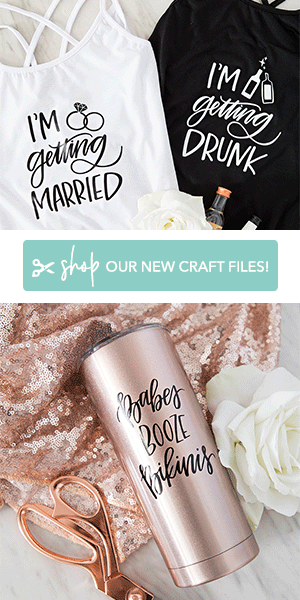 Our FREE printable designs at the end of the post! 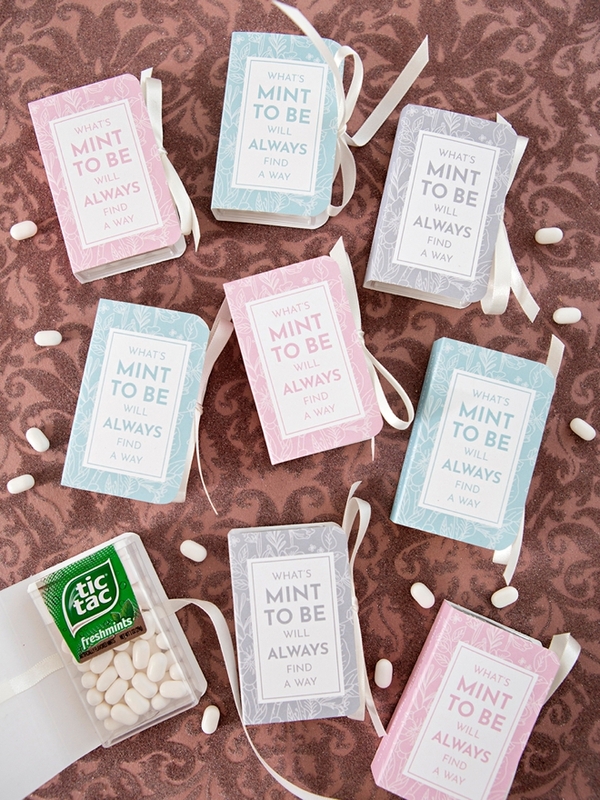 Click on the graphic at the end of the post to download our free “Mint To Be” Tic Tac Book covers! 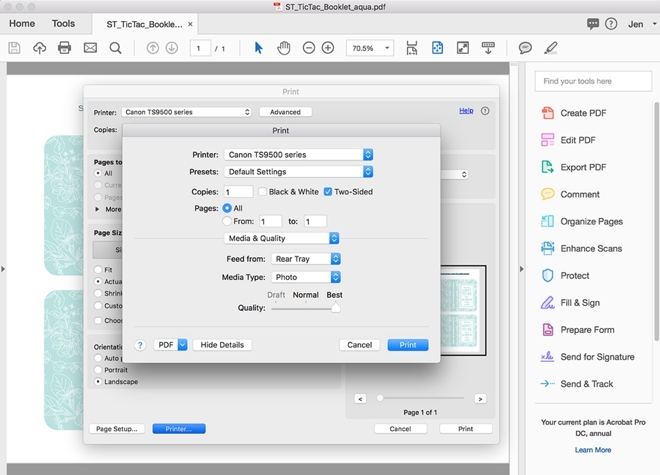 In the print queue click to choose “photo” paper and “best” to get the highest quality print from your Canon printer. 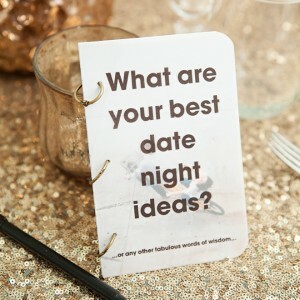 Print the color design of your choice onto 8.5″ x 11″ white cardstock, there are four book covers per sheet. First, score on the two white lines that make the spine of the “book”. 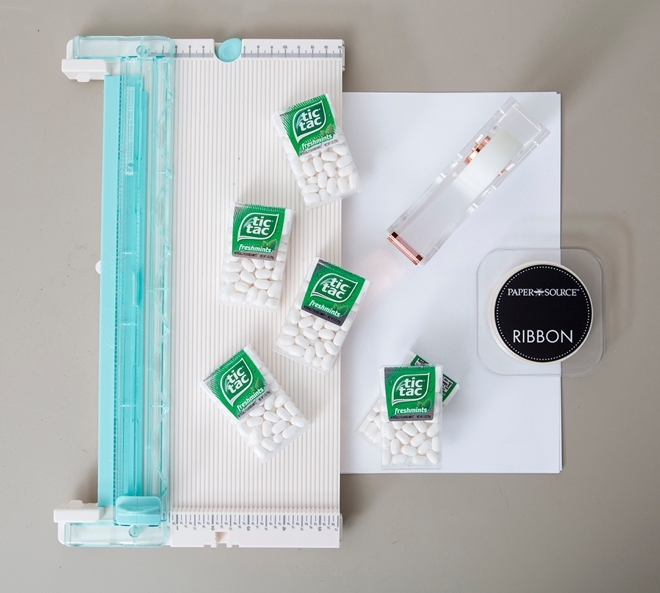 My paper trimmer and scoring board are one in the same. If you don’t have a scoring board you can easily just fold on these lines, but scoring makes the fold easy and professional looking. The trim out each book cover. 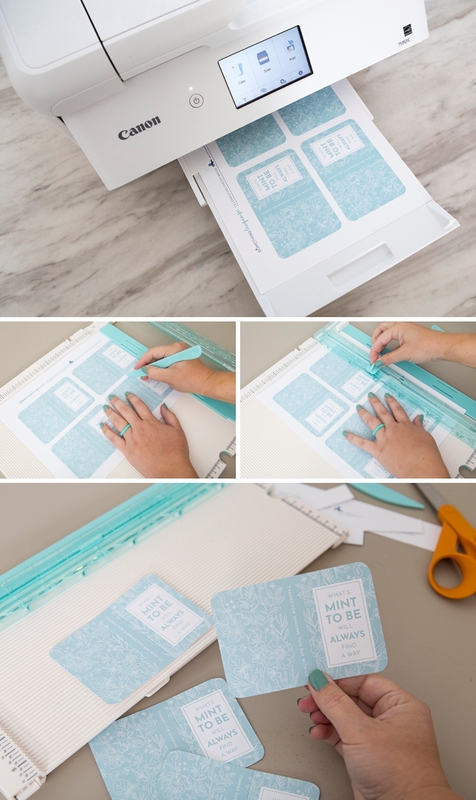 Fold on the score lines to create the little book. 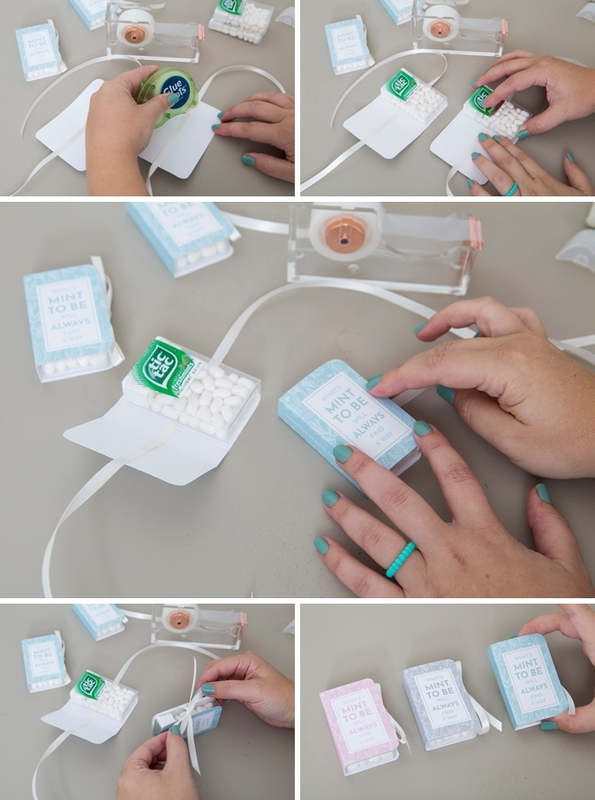 Then tape a piece of 1/4″ ribbon along the inside, middle of the book cover. 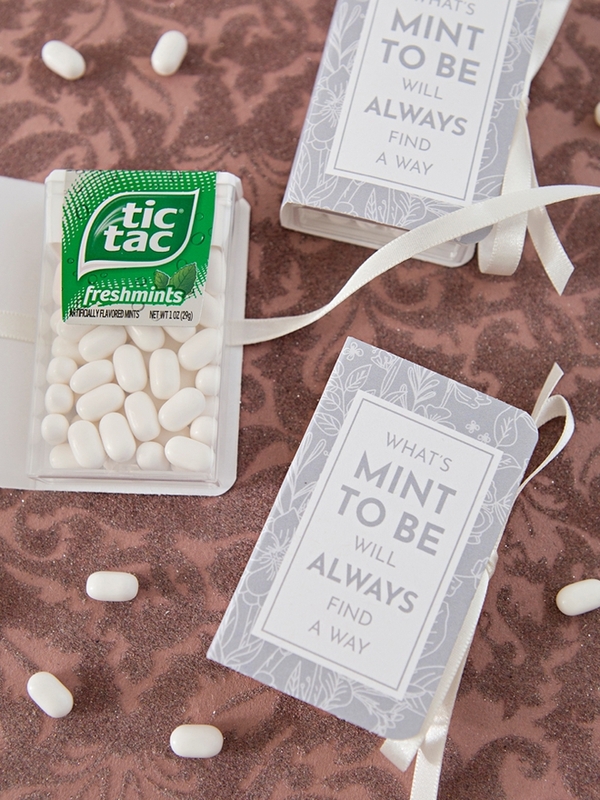 Add a few Glue Dots (or double sided tape) to the back cover of the book and press the Tic Tac box to them to secure. 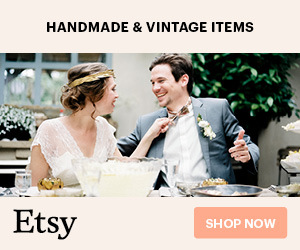 Tie a bow with the ribbon and you’re finished! 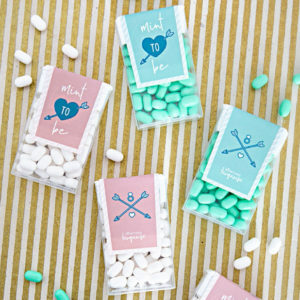 Printing and assembling these darling little favors takes no time at all, as you can see this is a super simple project. 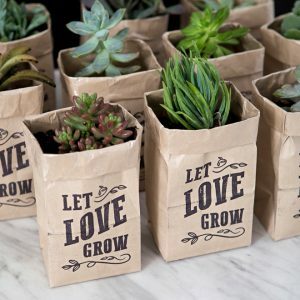 To make it go even faster, ask a few bridesmaids to come over and create a little assembly line with each gal doing one of the steps! 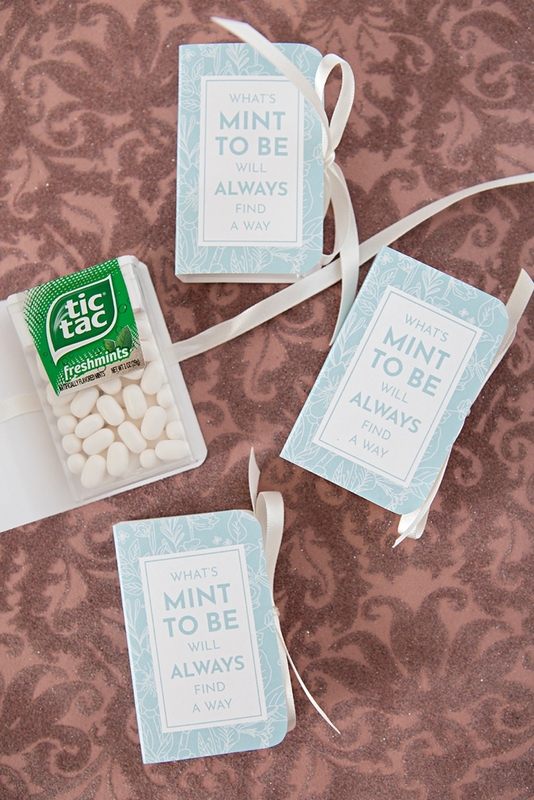 If this saying rings true for you like it does for me, then these darling Tic Tac books would be the most perfect favor for your engagement party, bridal shower, or wedding! 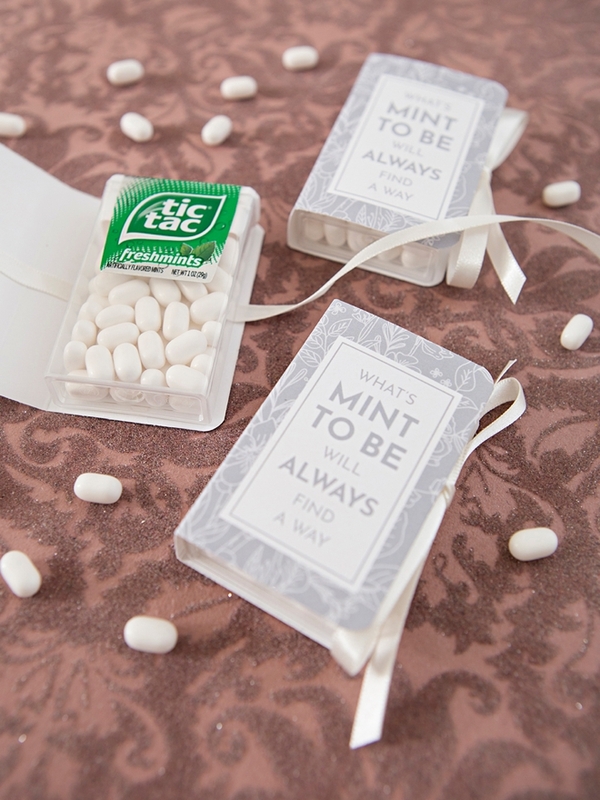 Your guests will love them, everyone loves a good ol’ pack of Tic Tacs! Canon U.S.A., Inc. prides itself on allowing consumers to create and preserve beautiful imagery, from capture to print. 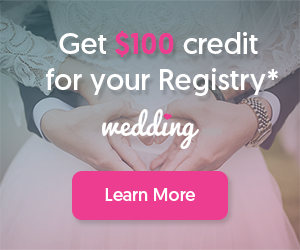 With wireless technology and seamless printing capabilities, you can print your photos and printables with precision and ease.